today. 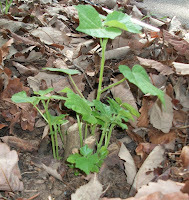 Not much to see from this shot, but there is plenty actually springing to life. There are many pictures, so I'm going to do clickable thumbnails and let you look at what you want. 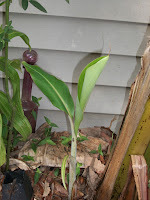 First, the banana pup is getting its first "true" leaf, and growing like a weed. I'm looking forward to the shade it will provide on that side, which will eventually hold all my shade-loving tropicals. The Early Girl tomato has fruits. 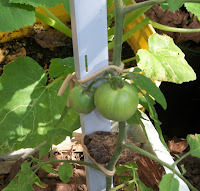 It will probably be the only regular tomato I get fruits from this year, as it will be too hot once the others bloom, but I'll try to keep them alive until fall. The desert rose is putting out lots of buds, despite the fact that its leaves are still ugly from the winter. 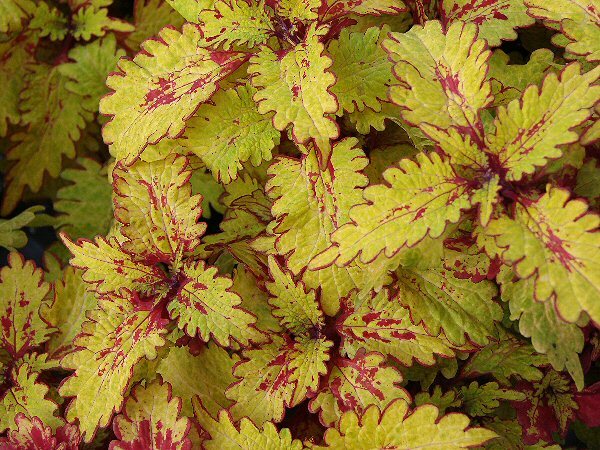 I'm not going to prune it back this year, so it probably won't be as pretty as if I did, but still one of my favorite plants. 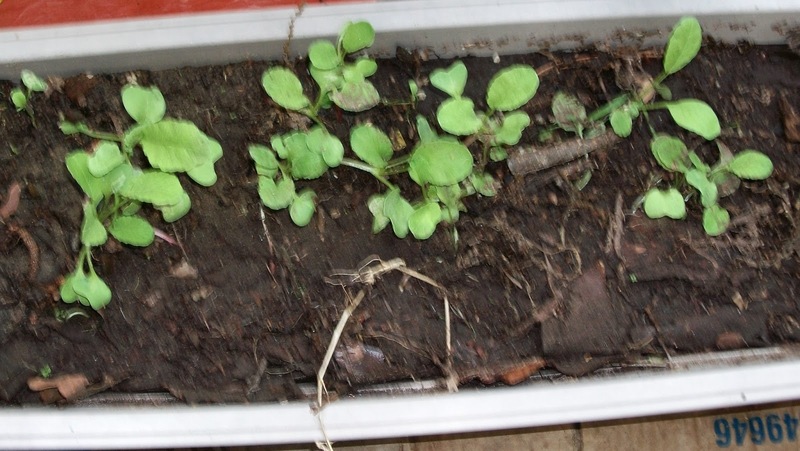 I planted the radishes a bit late, so they're sort of dragging. Don't think I'll get any this year, but maybe. 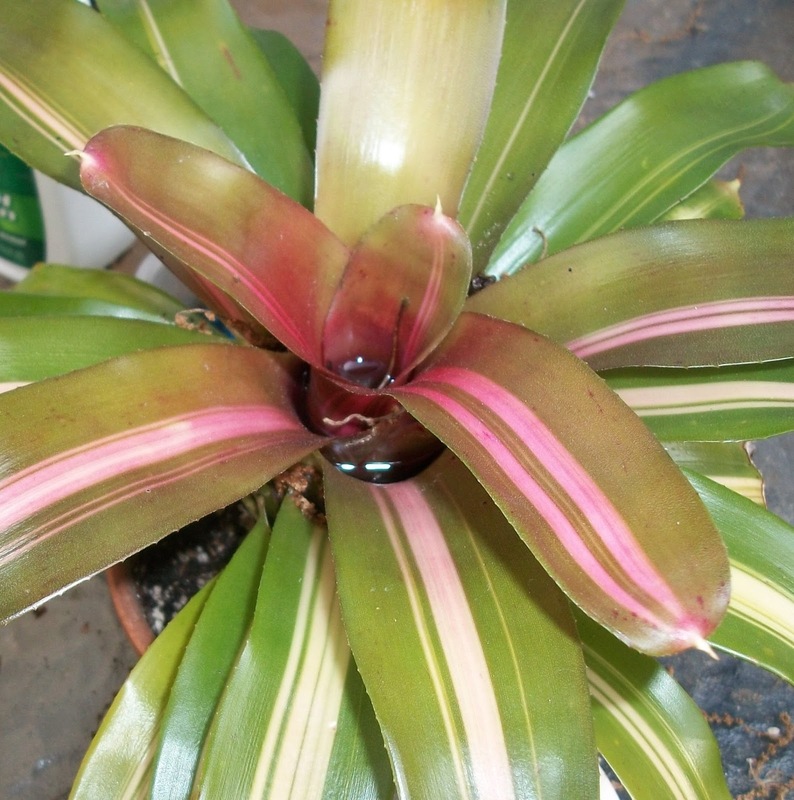 The NOID bromeliad is coloring up, hopefully to bloom so it will put out a variegated pup. Last time, it put out all green pups, so I have my fingers crossed. 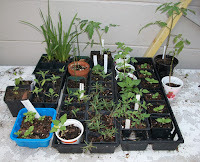 Of course, there are many seedlings and starts that are still growing, waiting for their homes. Much more going on outside than inside, but I'm only going to hit the highlights. 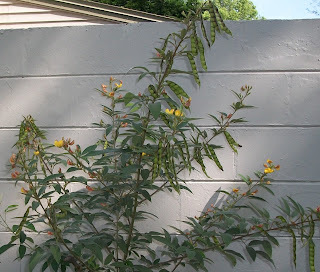 The Confederate Rose was almost killed by whiteflies last year, so I cut it back to about an inch tall and planted it out into the ground. 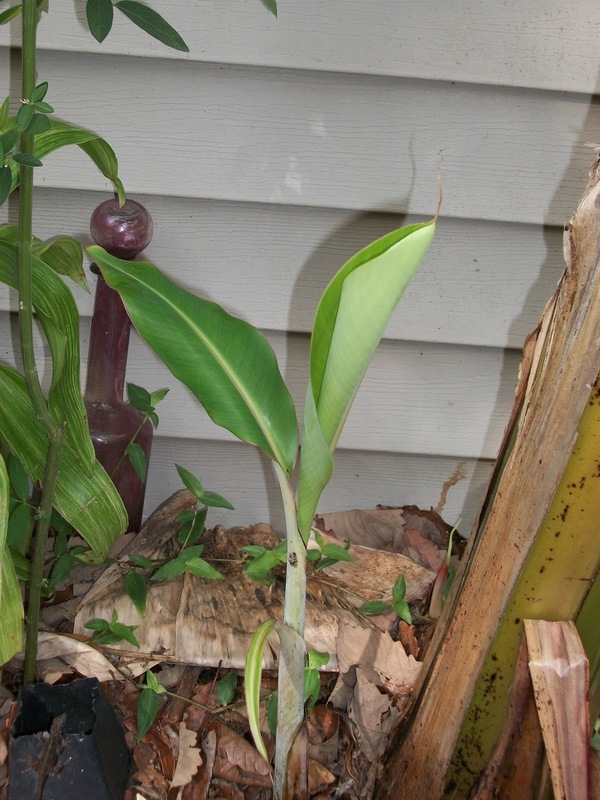 There are many sprouts coming up, and I'm looking forward to this being a beautiful, large plant by the time it blooms in the fall. 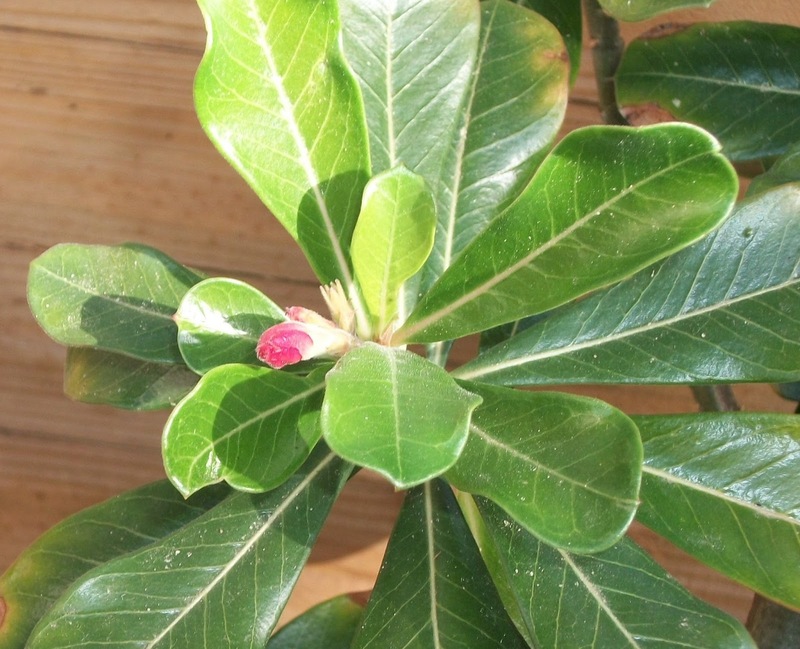 Of course, I'm going to be looking out for those whiteflies, because they are still inside the courtyard. 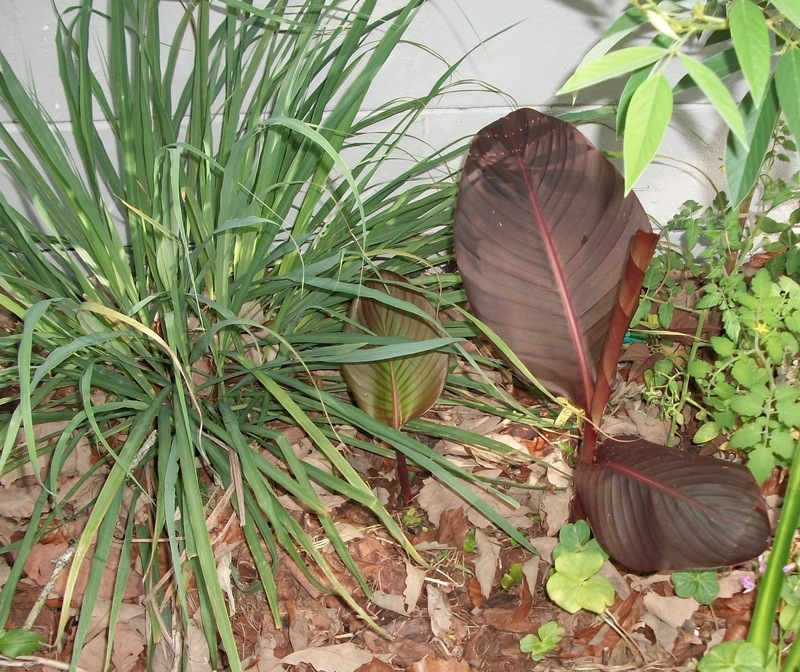 The lemon grass didn't even die down this winter. 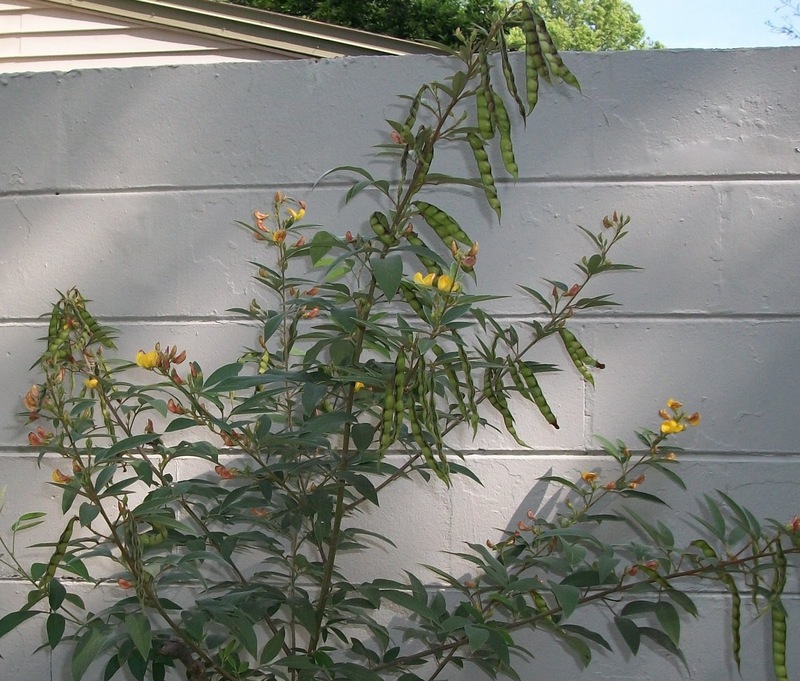 It's hard to believe this is the one little sprig I planted last year. 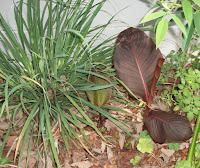 The purple-leaf canna has two new shoots. The green one has several shoots too (no pic), but they stay close to the mother, where this one spreads out way more. 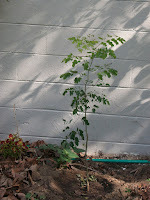 I planted the dwarf yellow poinciana (Caesalpinia Mexicana) where I dug out the lantana. 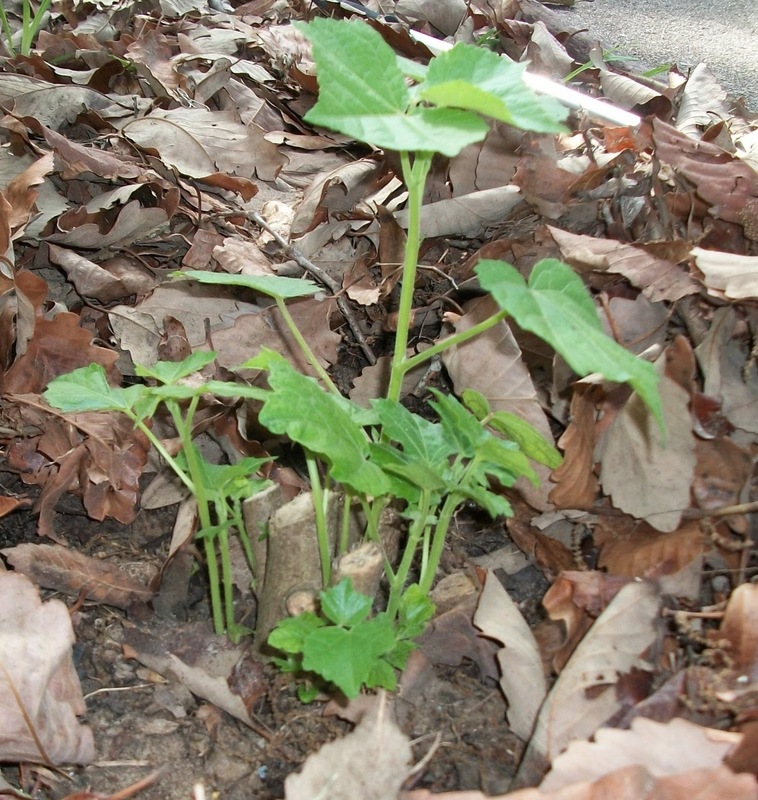 I stuck some tithonia seeds into the ground behind it, and I'm waiting for them to come up before I mulch. I think the tall orange tithonia with the yellow in front will be pretty, but if the shrub gets too big, I may have to move them. 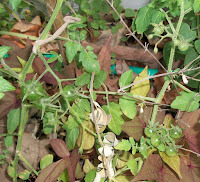 The Everglades tomato I planted last year didn't completely die back, has come out nicely and is loaded with fruit. 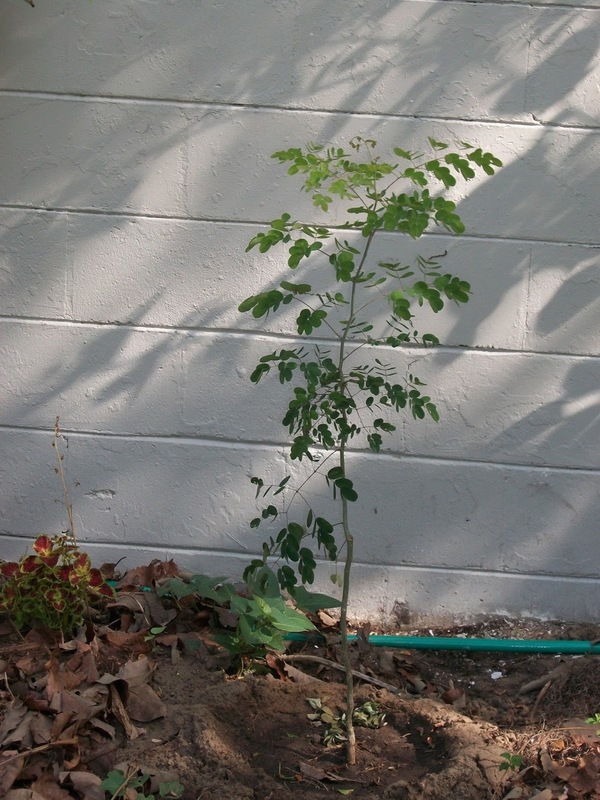 I also planted a NOID cherry tomato by the pigeon pea because I read you could use it to stake tomatoes and it has fruits on it as well. 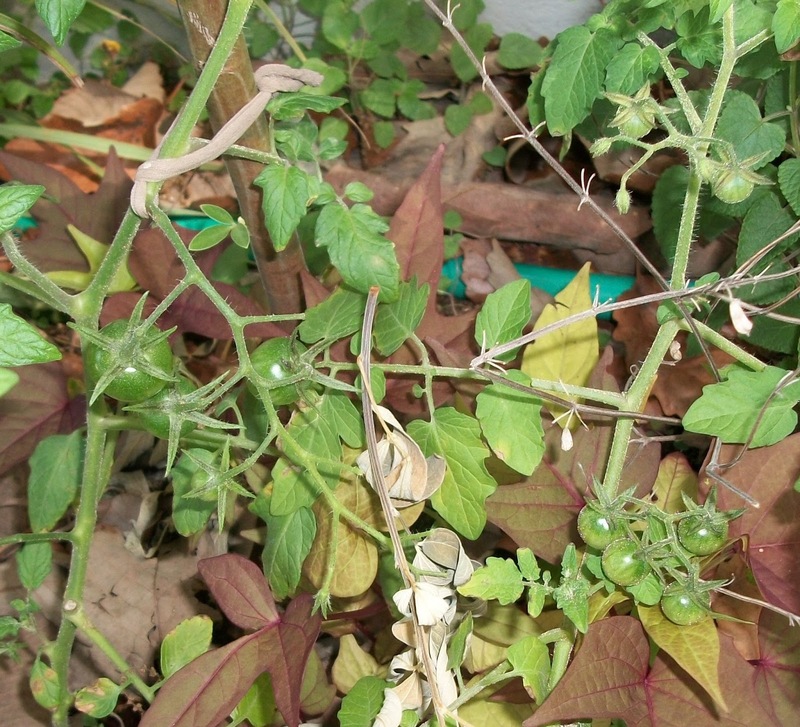 It seems the nitrogen fixing properties of the pigeon pea, which is now laden with pods, are making the tomatoes grow much better. I'm impatiently waiting for the green peas to fill out the pods so I can eat them. Well, enough for now. There are a lot of other things springing up, but this post is getting too long, so I'll add those to the next diary post.